7-day 100% Money Back Guarantee! The way that the training is structured, I know that I can work hard for 3 minutes or 5 minutes and then move on to a new game, so it is easy to stay motivated. Measure your current abilities accurately. Create your customized program with our artificial intelligence algorithm. Measure your stroke exercise performance and progress. Consult our in-house therapists to improve your stroke exercise. 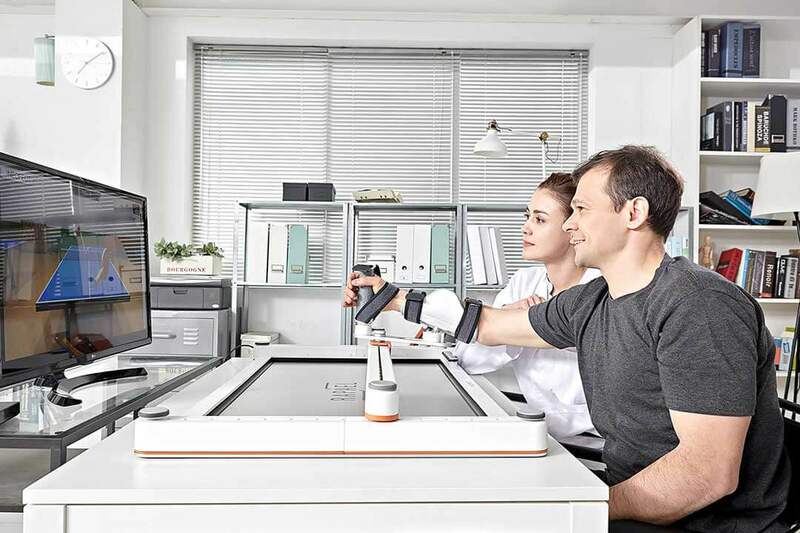 RAPAEL Smart Board is a high-tech medical device that is accessible to any patient experiencing limitation to functional movements due to damage in their shoulder or elbow joints to improve the functional arm reaching ability. 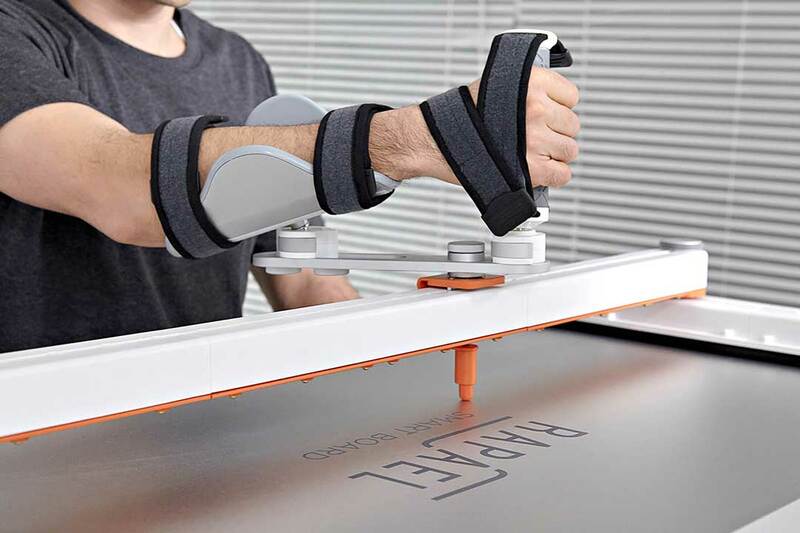 Stroke patients can carry out substantial arm / shoulder / elbow joints rehabilitation using training games with the board, which automatically adjust in level of difficulty according to the user’s progress allowing for personalized exercise. 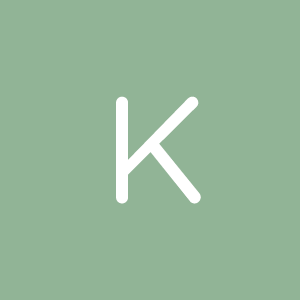 Perform key arm exercises similar to what your physical or occupational therapist would prescribe, but with the added benefit of having them integrated with fun, captivating games. It is important when recovering from hemiplegia to do your rehabilitation exercises consistently. Repetition is key to regain mobility, and is a major aspect of the RAPAEL Home program. 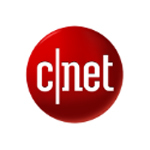 The artificial intelligence algorithm suggests a program to best suit the user’s current abilities. Get Started — 7-day 100% Money Back Guarantee! 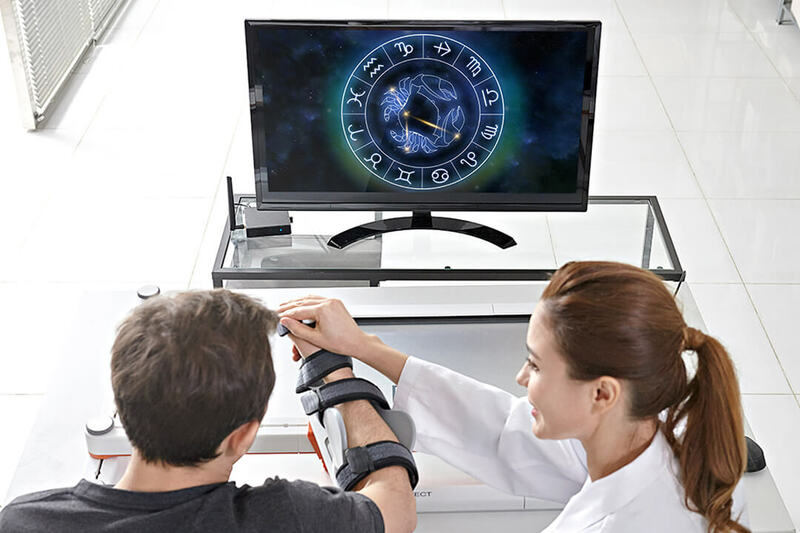 Get the RAPAEL Rehab Solution at a special price for a limited time. How Can I Prevent Having Another Stoke? More than 795,000 people in the United States have a stroke every year. About 185,00 of these strokes happen to people who have had a previous stroke. John was diagnosed with hemiplegia at the age of 11. His father came across the NEOFECT Smart Kids device on YouTube. What are the Warning Signs of Stroke in Men? Both men and women can suffer from a stroke. However, men exhibit different warning signs than woman do.